Buy your yearbook today!!! Starting at Only $20! Order forms are available at the EES front office. Simply fill out the form, include payment and submit to your child's teacher. 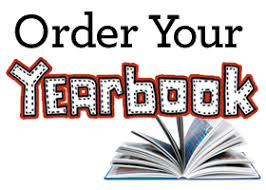 All yearbook orders are due by Friday, March 30th​. Got photos you want to share for the yearbook? We need your photos, especially from events/parties! Have questions? Ask our yearbook reps Meghan Humbrecht or Lauren Griffith.